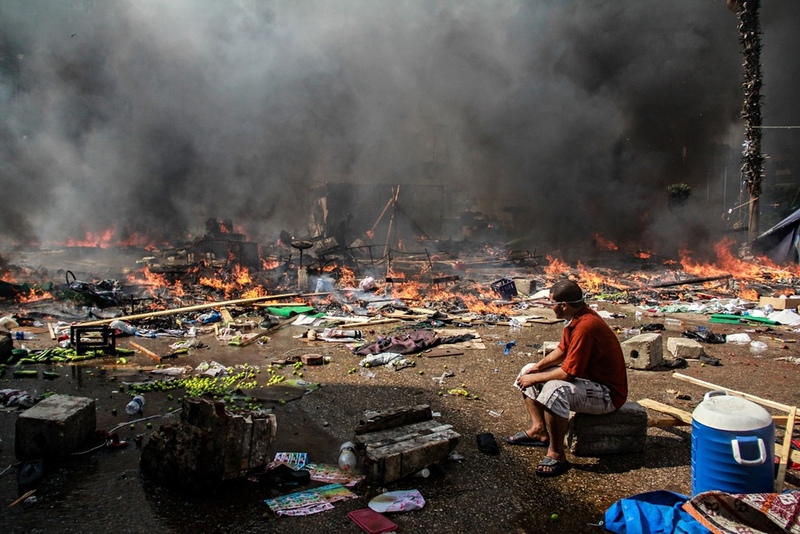 On this day 5 years ago, a massacre unfolded in Egypt’s Rabaa Square, in which hundreds of peaceful protesters were killed and thousands injured in what many human rights organisations have described as the worst mass killing of protesters in modern history. The gruesome crime was carried out by the Egyptian armed forces to complete a military coup d’état against a fledgling democracy and crush the last stand of those hoping for a better future for Egypt and all Egyptians. Subsequently, over 60,000 pro-democracy activists and supporters have been rounded up and thousands have been killed in what is Egypt’s darkest era since it gained independence almost 100 years ago. The Muslim Association of Britain remembers the victims of Rabaa, and indeed all victims of the struggle for democracy and freedoms in Egypt, noting that human rights abuses are now considered amongst the worst in the world under its current military regime, with thousands imprisoned without trial and due process and thousands more have simply disappeared without a trace.